1. Session slides and handouts are now on the mobile app, and available online. 2. Quizzes for CEUs and graduate credit are now on the mobile app and online. 3. Preconference sessions were held in the LERN online classroom. Over 60 participated in a Mastering the LERN Model online pre-conference class. The online event helped attendees, especially first time attendees and people new to the field, to understand the terminology, definitions and formulas used in lifelong learning. Another group met online to hear more about the Parkway-Rockwood consolidation of programs, which is winning an International Award at the conference. Welcome to the most exciting week of the year in lifelong learning! This is the only conference where you can meet and get fresh ideas from lifelong learning professionals in institutions other than your own. Enjoy the interaction. Avoid the Rush. Register today. Registration is open from 10 a.m. to 8 p.m. today. Avoid the Friday morning rush and lines, register today and save some time. You’re invited. Come to Leader Retreat today. You are invited and welcome to attend the LERN Leader Retreat today, from 3:30 p.m. to 5 p.m. in room Asia 1. Meet with our Future Leaders Council from 3:30 p.m. to 5 p.m. in room Asia 1. Cathy Noonan, City of San Jose, California, Chair of the LERN Board of Directors this year. All conference participants are invited to the All-Conference Reception from 5 p.m. to 6:30 p.m. today in the Exhibit Hall, room South Hemisphere I-III. 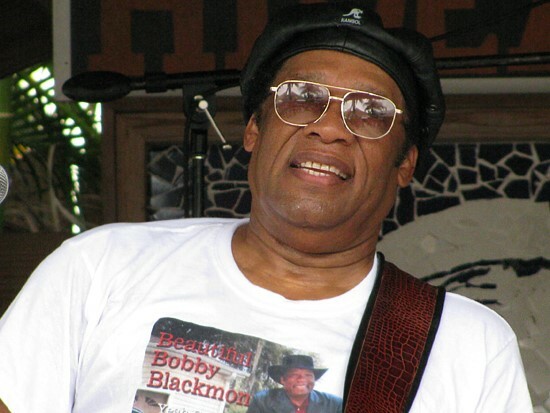 Hear blues artist Beautiful Bobby Blackmon and meet others. A few tickets are available to the private President’s reception. The $10 ticket includes sparkling water, wine and cheese. The reception is tomorrow afternoon, Friday, starting at 4:30 p.m. All are welcome. Check the Publications booth for tickets. Get to know the hotel today. Tomorrow the pace picks up. This is the day to figure out where the general sessions and the Exhibit Hall are, and how to get around the hotel. We have a special session today from 3:30 p.m. to 4 p.m. just for First Timers (everyone welcome), Getting the Most from the LERN Conference, in room N. Hemisphere E4. We will give you tips on how to make the most of the conference, including benchmarks and terms. The Opening Session begins promptly at 8 a.m. Friday morning. Exhibits, publications, poster displays and more. Login to the LERN 2014 network using exhibits2014 as the password. How to get the Conference Mobile app. The LERN annual conference is a time to renew that sense of community. It is an opportunity to re-energize, to make or renew friendships, to gain support. We’re glad you are here.